Our goal at Tom Gorz Collection is to provide a fun and inspiring shopping experience. 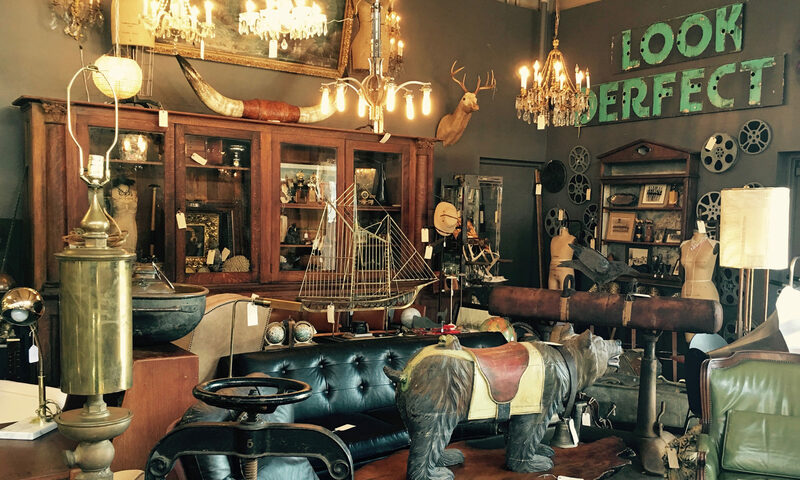 By offering a great selection of mid-century modern furniture and decor, European and American antiques, art, lighting, vintage jewelry, and accent pieces, as well as friendly customer service, we hope we’ll be your favorite place for antiques and furnishings. Our website shows just a small portion of our collection – come visit us at the Tom Gorz Collection store, or at Pacific Galleries Antique Mall today! TOM – With over twenty years experience, Tom has curated a formidable collection of antiques and collectibles. With particular emphasis on mid-century modern decor and objects, and costume jewelry, Tom is excited to share his knowledge, and can’t wait to inspire customers to start collecting! PATTY – Patty has a passion for all things vintage and antique. By combining her finds with natural elements, she lets her background in floral design shine through! BRETT – Brett is a collector and aesthete of all things modern, primarily focusing on art, decorative arts, and furniture. Brett has an extensive knowledge of modern design, and loves to share his passion with customers! LEANDRA – LeAndra comes to Tom Gorz Collection with an extensive history in customer service – she will always go the extra mile to make sure your experience with Tom Gorz is a fabulous one! With a background in fine and costume jewelry, LeAndra has an eye for detail, and is always willing to assist with design and purchasing decisions. WILL – Will is currently a student pursuing a bachelor’s degree in American History at the University of Washington. As a person interested in all things vintage and antique, he is excited to be part of the Tom Gorz Collection crew and looks forward to making your experience with us the best possible. ANDREA – Andrea loves modern design, vintage textiles, and European and American mid century furniture. Andrea is no longer on the sales floor, but is active behind the scenes administering the website, and overseeing other social media sites for Tom Gorz Collection.